At the August 12, 2014 Oakland Township Board meeting, the Board unanimously approved authorizing the Township attorney to file a ’cause of action’ suit against the Clinton River Watershed Council (CRWC). This suit was reported in the August 27th Oakland Press. Here is a link to the brief article on the Oakland Press website. The Board’s reason for the suit is that they allege the CRWC breached a contract they believe the Township had with the CRWC regarding the Paint Creek Dam removal project. The CRWC is a non-profit organization that worked with the Department of Natural Resources to eliminate the dam on the Paint Creek. The State of Michigan has established dam removal as a priority to improve the habitat and quality of the water in our streams and lakes. The millrace is not considered a natural stream since it was created years ago to divert water from the Paint Creek to the Cider Mill location. After the dam was removed, the elevation of the water feeding the Paint Creek Cider millrace was lower, as was expected. There are several individual properties that the millrace runs through. When the dam was removed, water no longer flowed through their property. The property owners claim that their property values have been diminished as a result of the dam removal. One of the main reason that the water no longer flows down the millrace (in addition to the dam removal) is that the millrace has years of sediment buildup. I reviewed that document, and put together a simplified summary of the chronology of the millrace issue. It is three pages long, but captures the key issues raised through September 2012. In reviewing the documented history, it is clear that the issue of years of sediment buildup in the millrace was raised several times. In fact, the Clinton River Watershed Council raised that concern at the September 13, 2011 meeting. Clarifying whose responsibility it was to dredge the millrace was never addressed. The Clinton RIver Watershed Council never agreed that they would dredge the millrace. Without the dredging of the millrace, it should come as no surprise that the millrace went dry (water does not flow up hill!). The affected citizens have been major supporters of the current Board. The millrace issue played a role in the current Board being elected. Many of the Board members ran on this issue in their campaign. As more information and court documents become available that information will be posted on this website. Why is this important to the citizens of Oakland Township? 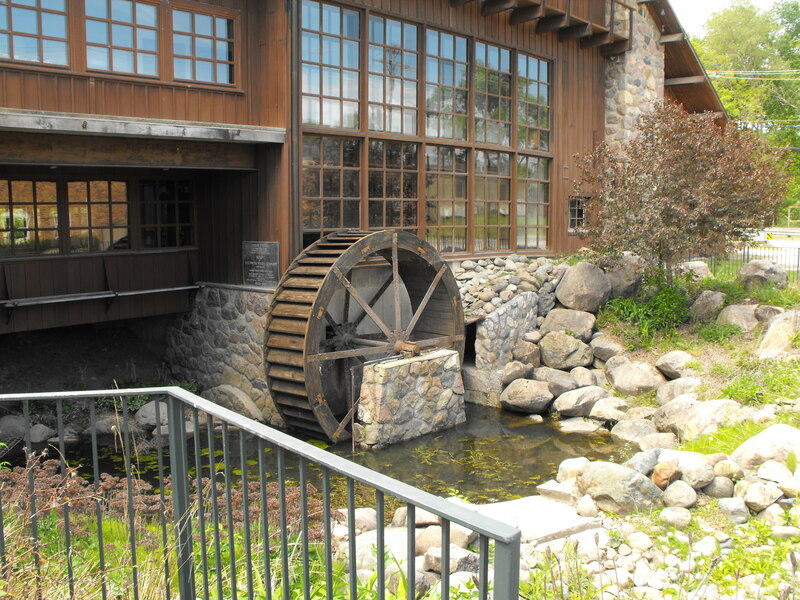 Certainly the desirability of having the millrace transfer water to the Cider Mill could result in the Cider Mill wheel turning once again. This would restore some of the character of Goodison in our Township. However, the major reason water is not flowing down the millrace is the buildup of many years of sediment in the millrace. The fact remains that water will not flow down the millrace until the millrace is dredged. The dredging requirement was raised long before the dam came down, yet no one appeared to determine whose responsibility is was to do that. The previous Cider Mill owner appeared to solve the problem by placing ‘boards’ to raise the water level feeding the millrace. This clearly has an impact on the creek’s water level for upstream residents. Hopefully our Township attorney’s opinion is on ‘solid’ legal ground, and we are not proceeding just for the Board’s political reasons to appease a very vocal number of residents impacted by the dam removal. If our attorney is not on ‘solid’ legal ground, his recommendation, and Board’s action will not only have destroyed any working relationship between the Township and the agencies involved, but will add to the coffers of his Legal firm, AT OUR EXPENSE! It would probably have been cheaper for the Township to pay for the dredging of the millrace (we have already incurred many thousands of dollars in legal fees on this issue). The initial estimate for dredging the millrace was $250,000. When we are all done, we may spend considerably more than $250,000 and not have accomplished ANYTHING. 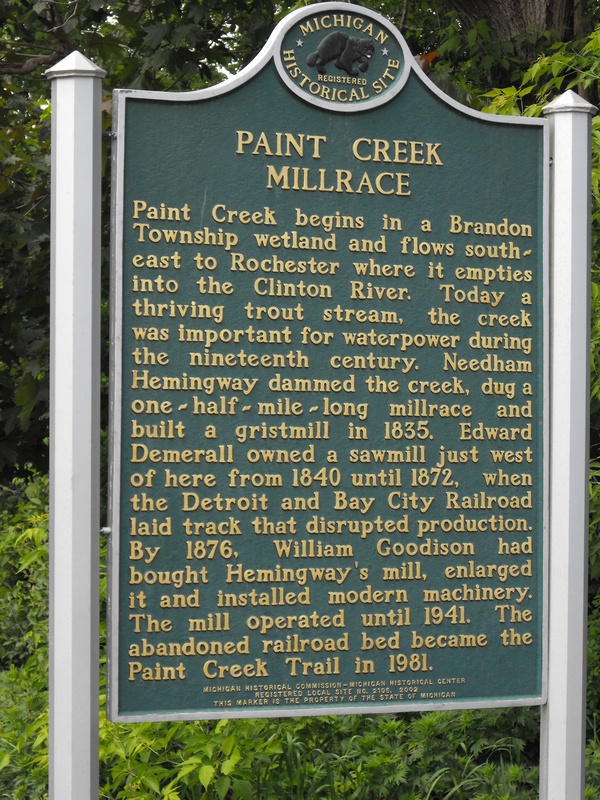 This entry was posted in Board of Trustees, Legal Problems and tagged Clinton River Watershed Council, CRWC, Paint Creek Millrace on August 29, 2014 by richardjmichalski.